The Enclave is Buick’s bestseller for a reason. It’s huge, comfy, smooth, and has a ton of space for your family or cargo. A low starting price for modern luxury and styling makes the Enclave an attractive buy brand new. However, several known issues and low reliability ratings make buying a used one a bit of a gamble. We think the Enclave is good for those who really want the Enclave, otherwise, there are better performing, more reliable alternatives at similar price points. Many reviewers claim the Buick is a great value for the money because it is a luxury midsize SUV priced in the $40,000 dollar range. We disagree, sure it’s price is more competitive than some of the German competitors, but they have reputations that warrant their premium prices. Buick, not so much. While Buick has gone a long way to rebrand itself and begin appealing to the luxury market, the brand lacks the performance pedigree to call itself one of the boys. Considering you can buy a fully loaded Dodge Durango R/T with a Hemi V8 and 3 rows for the price of the Premium Group Enclave, the Buick begins looking like less of a bargain. The Buick Enclave starts at $39,095 for the Convenience Group level trim. This trim level is actually loaded with premium options that cost thousands in competing SUVs like a 4G wifi hotspot, remote start, rearview camera, and keyless entry. The Leather Group equipped Enclave has a base MSRP of $44,690. The Leather Group is, basically, the Convenience Group with leather, heated front seats and steering wheel, and blind spot monitoring system. Lastly, the Premium Group trim begins at $48,550. A host of features are added at this trim level, like articulating headlamps, a 10 speaker bose sound system with navigation, forward collision alert, and lane departure warning. Front Wheel Drive (FWD) is standard, with All Wheel Drive (AWD) available on Leather and Premium trim for an extra $6,700. Don’t expect to win any drag races or save any trees with General Motors’ 3.6 Liter V6. Though it produces a respectable 288 horsepower, it’s undersized for this two and a half ton giant. It does have enough power to get you where you need to go, but straight line acceleration is not the Enclave’s strong suit. The ride is comfortable and quiet and allows for excellent highway cruising. For what it lacks in agile cornering, the Enclave makes up for with smooth steering and butter soft suspension. The six-speed automatic shifts fluently, enhancing the fluid, relaxed driving dynamic of the biggest Buick. Fuel economy is a few miles per gallon less than many competitors at 15 mpg city and 22 mpg highway. The Enclave is, first and foremost, a classic luxury cruiser. Some will prefer these qualities to the more performance oriented competition in the segment. If you’re looking for a cozy and serene SUV with road trip worthy characteristics, the Buick Enclave may just reach the top of your list. The interior of the Enclave is clean and well designed. It is not the most luxurious interior in the segment, but it has some redeeming qualities like the standard Buick Intellilink infotainment system with smartphone integration and a usable third row. The 6.5in display is bright and easy to read, though the software is a bit complex and takes time to learn. It doesn’t help that the touchscreen is a bit unresponsive. The standard rearview camera works well and is a godsend for attempting to park this rather large SUV. The Quiet Cabin proprietary sound dampening technology provides a very quiet ride, on par with some German competitors. The optional leather adds a more upscale ambiance befitting of the luxury midsize SUV title. The front seats are supportive, comfortable and can accommodate large passengers. The second row can either be two captain’s chairs or a bench. Either can slide forward to allow even more third-row space. The third row can seat two adults, unlike many other models in the segment. This and ample cargo space up to 115.4 cubic feet make the Enclave an attractive, pragmatic choice for consumers looking for a luxury family hauler. The Enclave is expansive. At almost 17 feet long, it leans heavily toward the utility category of SUV. The exterior design is curvy and well proportioned, with clean lines and a modern design. A large chrome grille with the tri shield Buick emblem adorns the front fascia, flanked by bi-Xenon headlamps. The LED turn signals at the front and rear enhance the contemporary impression.The dual exhaust ports are a sleek touch that provides symmetry to the rear. Standard 19in wheels wrapped with 19in all season rubber complement the big SUV and augment the imposing stance. Besides these features, the Enclave’s design resembles the Chevy Traverse, on which it is based. Buick does a better job of packaging, but don’t expect an inspiring design that sets you apart. The design is more conservative and practical, emphasizing the SUV’s utility over aesthetics. Consumer Reports gives the Enclave a 3 out of 5 predicted reliability rating, which is a bit low for an American made SUV. However, their research indicates a steady improvement since the 2008 model. JD Power rates the Enclave slightly higher at a 3.5 out of 5. There have been no recalls by the NHTSA. Our research turned up a few known issues with the Buick Enclave. The transmission fluid should be checked every 30,000 miles. If it is dark and appears burned, it should be flushed to prevent transmission damage. The cooling system suffers a similar fate and should be checked regularly for contamination, despite the manufacturer's claim that it’s good for 100,000 miles. A worn out or lax gas cap may cause the check engine light to come on. If there is a check engine light on in the model you’re considering, be sure to run the scanner and get the code. There are several codes that require immediate replacement of the PCM, powertrain control module, to prevent engine damage. Transmission fault CEL codes may signify a broken clutch wave plate inside the transmission that will require a full rebuild to rectify. We highly recommend you have a mechanic check for these problems before purchasing because the last few won’t be cheap to fix. The Insurance Institute for Highway Safety gives the Enclave their highest rating of Good as a result of crash testing. 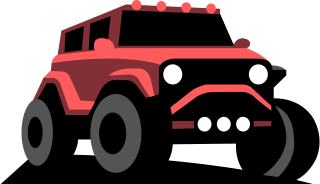 The National Highway Traffic Safety Administration awards an overall rating of 5 stars, with 5 stars in every category except rollover potential. This is understandable, at almost six feet, the Enclave is quite tall. Standard curtain airbags expand across the entire interior in the event of a collision, protecting the heads of occupants in all three rows. The Enclave also features side impact airbags mounted on the seatbacks for additional protection. All seatbelts are of the three point variety and can be adjusted to properly restrain small children who have outgrown safety seats. The standard rearview camera and blind spot detection system are welcome features that are further augmented by optional lane departure warning and rear cross traffic alert. Overall, this Buick is packed with child-friendly safety features that make the SUV a great choice for families, large and small. Prospective buyers of the Buick Enclave should consider the Infiniti QX60. 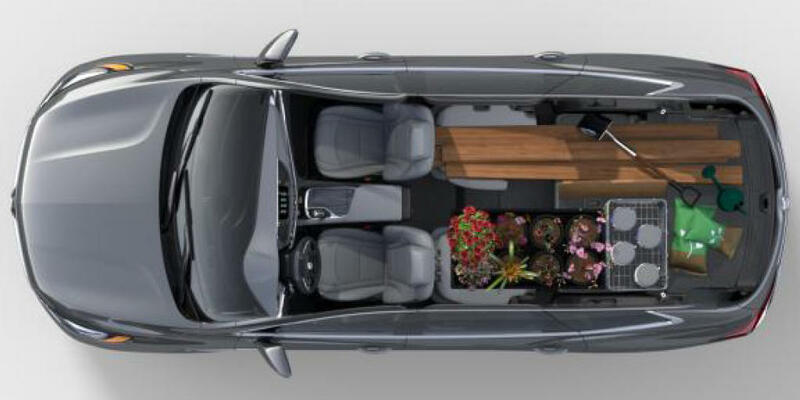 Like the Enclave, the QX60 has three rows of seating but lacks the impressive overall cargo capacity. It prioritizes comfort over performance like the Buick. The QX60 provides more power and much better performance at the pump, consuming 19 mpg city and 28 mpg highway. The ride quality is a little firmer and louder than the Buick, but you get better acceleration and handling performance in return. The interior of the QX60 is far superior, it has standard leather with contrast stitching and an array of technology nowhere to be found in the Enclave. The Infiniti also has safety features available like adaptive cruise control and automatic emergency braking that the Buick lacks. AWD is only $1,500 dollars more in the Infiniti. The Buick can be had for cheaper than the Infiniti, but a comparably equipped model puts the Enclave at roughly the same price. Considering the QX60 will hold its value much better than the Buick, the QX60 will cost you a lot less in the long run. Better reliability and gas mileage further increase the financial sense choosing the Infiniti makes. As a result, we recommend the QX60 over the Enclave.